The year 2016 is seen as the year of value, or the year of context/data-driven marketing. Hence, online marketers are creating content and opting various digital marketing strategies to create brand value. Since the inception of smartphones and tablets, people’s love towards them has increased drastically. Online marketers are considering email marketing as an important factor to reach the targeted audience. Considering more than 50% web traffic is coming from handheld devices such as smartphones and tablets combined, it creates enough room to remind smartphone users about the latest happening in your eCommerce venture and entice them to take follow-up or reach the portal through emails. One of the most difficult tasks even an expert marketer faces is to drive traffic to the website and convert them into a sale. There’s no shortcut to eCommerce success, as it takes time to grow. Hence, email marketing plays a significant role in building a relationship with customers and engage them with the brand. In the professional world, emails are considered one of the most powerful communication tools. Since, messaging apps like WhatsApp, Viber, Snapchat etc. have attracted billions of people and connected them with each other in a fun-filled way; still, emails lead the communication department in the business field. ROI during email marketing is 38-4300% for every $1 spent on its campaign. Email marketing even has the power to isolate users or targeted customers from the brand, if done in a childish way. And that makes it a challenging form of marketing because not every marketer knows the secret mantras to run a successful campaign. It helps you in concluding a list of potential leads, warm leads, and current leads after you send emails to contacts from your list. Monitoring the behavior of people through it will help you in understanding what really is working and what needs to be changed in your emails to entice customers and push them in all stages of the sales funnel. Still a lot of people, even well-established marketing experts feel emails as old-fashioned. But the stats clearly prove them wrong as it regards to email marketing a very evolved medium to gain exposure and grow business many-folds. However, to do it in a right way is a completely different topic because it depends upon the experience, knowledge and leadership abilities to tap in toe the right circumstances and running beneficial marketing campaigns at the right. If you want to foster a relationship with your customers, you have to constantly send them a stream of messages and stay in their mind to remind them about your existence in the market. “Out of sight, out of mind” is a proverb that hits the nail on the head when it comes to the marketing world. With 4300% ROI, there is no reason or excuse not to invest funds and time in email marketing for eCommerce venture. Companies who lay their eggs in emails basket, end up generating more sales ready leads at the end of the day. Your email campaigns can benefit readership of your blog and blogs influence readers to take action and turn into customers. Hence, email marketing not only takes your product offers to people in your list but brings them to the blog and engages them with content on your portal. Strategic emails campaigns are done to push the visitor to convert into your sales lead. Every customer’s journey is important during this campaign and tailor email series at different stages for each customer can truly kick in and it helps business to witness growth and conversion on a bigger level. It’s an email that you send after a user sign-up for the email subscription and share contact info for the marketing campaigns. In this mail, you show the gratitude for subscribing your company’s newsletter and try to make contact and realizing the user about his importance for you by welcoming him to accompany in the company’s venture. Various companies trigger various strategies in the welcome emails. Some offer discount offers for subscribing and initiating the sales through welcome email. Some thank and encourage to move to the next level of buying favorite products from the available ones on the portal. Doing a follow-up after the sale is made, shows you an exemplary company. By sending order email confirmation, you give a chance to the person to think twice before making a transaction. After the sale is made and the time gap has been increased, it’s time to send emails about the absence of the subscriber from the portal, or it has been a long time since the business transaction has been made. Follow, “Out of sight, out of mind” strategy. However, your focus should not be too much on the entire series campaigns. Reminding the person about his absence and what he’s missing like new discounts on any purchase, can be done at the time interval, by constructing right approach. Email crafting is an art. A well-crafted email certainly drives attention and even initiate sales. 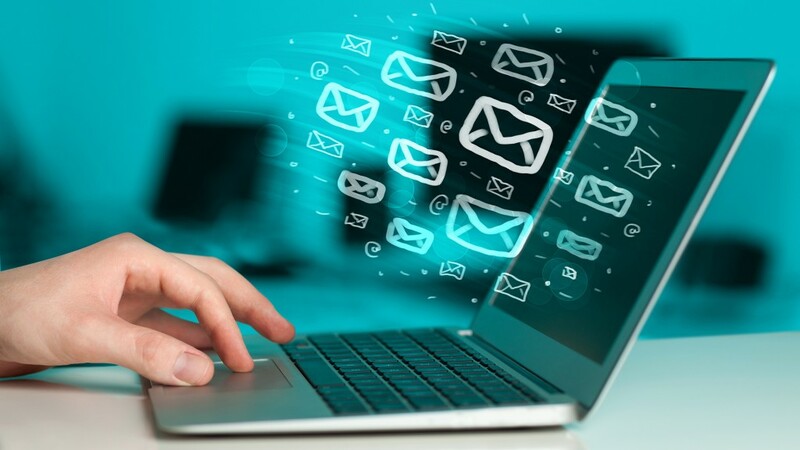 Knowing the three elements of successful email campaigns i.e. well-organized, well-formatted, well-tested are the core of running successful e-marketing. In the email marketing venture, you have only 3-4 seconds only. It’s not impossible, but not easy, either. 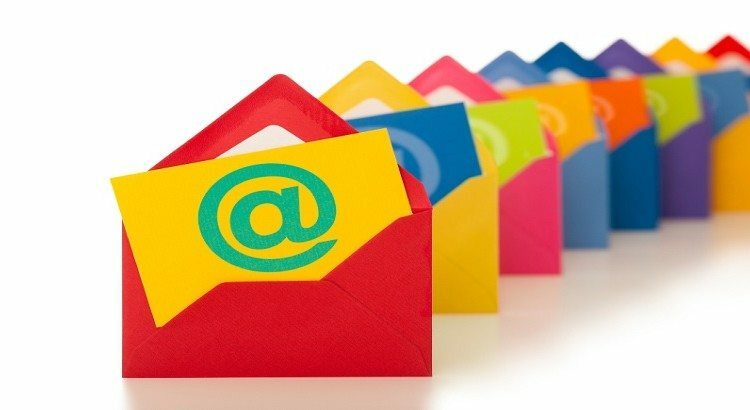 If you craft a catchy and well-constructed heading that initiates the action of following up the entire email in a new window or opening it the same window, you have achieved some success of gaining users’ attention. Don’t skip the mobile scenario from your email marketing picture. According to the industry reports, 64% of decision marketers are from mobiles, and 71% people delete your email immediately if it fails to load. Don’t forget to display CTA at the beginning or place at the top right corner, or not much below than the email beginning. Personalize emails by using receiver’s name at the beginning. It looks personal and professional. Writing isn’t everyone’s cup of tea. There’s a reason why large and small businesses shelve out huge money on quality writers. In addition, it needs a killer strategy to write a sales copy that actually increase sales and ROI at the end of the day. A great sales copy is all about value. Talk about value as you are talking with the receiver face-to-face and create an environment like you are interacting with the person in real. Your subscribers are your valuable asset. Treat them like one, pamper them like a mother nurtures her child. Don’t email them when you are looking for sales. Email them when you have something new to offer. Even an insight or an informative article on your portal can be a wonderful way to engage the person. Often writers fail to write a catchy copy because too much sugar-coating results in the void. The buyer has become much more active and clever, and he understands the sugar-coating. Moreover, poorly written mail with dozens of grammatical errors and gibberish writing can divert the reader’s attention. Audience segmentation is highly crucial if you want to catch the nerve of the highly interested users as per each email. In layman, if you aim the targeted segment for each mail, then you slim the chances to see the spam folder in users’ email accounts. Coming up with new and innovative ideas is truly hard. Hence, always look for the already best-performed ones for the inspiration. Use ‘CoSchedule’ tool when a customer starts neglecting all the previous emails and taking no action on the website, or not converting into sales. A personalized email is sent to the user asking why they aren’t using the services or if they have any a complaint that has made them do so. Some companies send a couple of emails when a new user subscribes to the website. In each of mail series, they share valuable insights and construct emails in a straightforward way, yet keeping the profile low to stay humble and professional. It’s important to evaluate to each individual marketing campaign for best marketing practices and to prepare a flawless strategy for the future. Though few metrics, you can calculate certain metrics that can pave a way for the success. It tells about the emails that are failing to be delivered. If you have a high bounce rate, then you have to look or modify your email list to decrease the bounce rate list. Out of many problems for increase bounce rate, the soft bounce isn’t a problem. In soft bounce, email fails to be delivered due to full inbox storage, and it shouldn’t be your concern because as emails are deleted and space have been made, the emails in the line-up are delivered. Hard Bounce- It’s the red flag for the business. You have to immediately remove dead email addresses or fake ones from the list because you certainly not want to list as spam for the algorithms or by fake users who derail successful marketing campaigns. It tells about the percentage of your audience who has clicked your link. The number of quality clicks helps you to drive sales and increase your business ROI. In layman, CTR is a great way to monitor how much effective are your emails to your audience, and whether they are bothering to go through the links within the mail. Conversion doesn’t always mean to convert into sales. Sometimes, CTA(call-to-action) means to drive persons to sign-up for new services or portal. It can be anything besides selling products. Hence, if the action is completed, it counts as the conversion is completed. It will help you in calculating the subscribing ratio percentage and how much change is coming to the list after each individual campaign. Email services like MailChimp, Fastmail, SlashMail, provide certain tools that will help you to track your email marketing success. Knowing that how many people have switched their emails or are no longer using that, will ultimately help you to escape spam identify. On many counts, email marketing can outrank social media marketing because the ROI rate is overwhelmingly high. However, that doesn’t mean; you start overlooking the importance of social media. No! You can drive traffic to the email subscription page through various social media channels like Facebook, Twitter, Instagram, Pinterest, Google+ etc. Email marketing is the future of overall marketing strategy. Executing right kind of approach to drive the traffic is the base of email marketing. However, as the digital marketing world is growing, so does email marketing, especially for eCommerce businesses because a lot of sales is dependent on emails and earning the attention of the subscribers to push the sale and gain more leads.